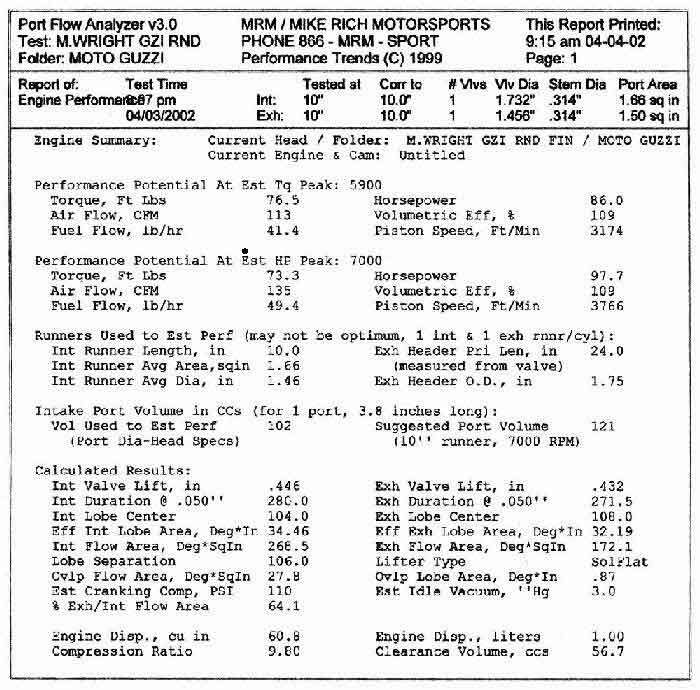 The following flow data comes from Sidney Conn’s ’98 EV 1100 heads. Figures 1-3 show before and after results of Mike Rich’s (of Mike Rich Motorsports, 866-676-7767) porting job on the heads. 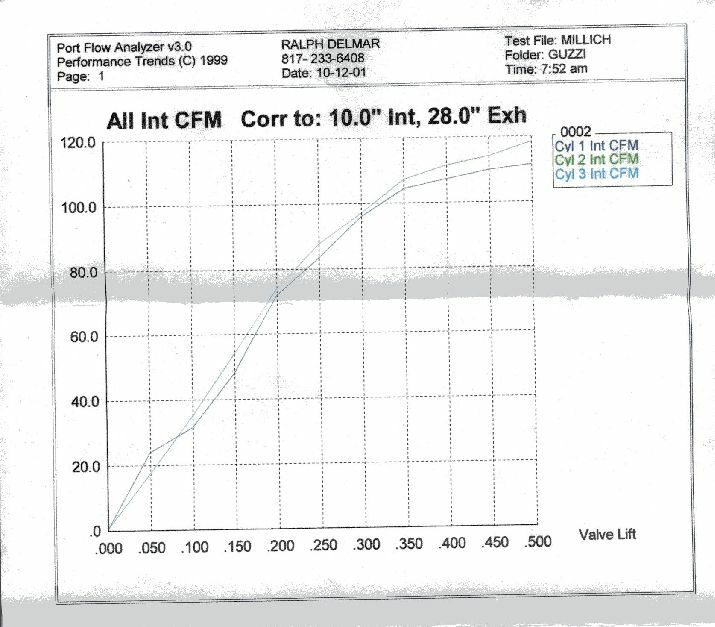 Note from the graph that most of the flow gains come at the higher valve openings. The lower valve openings are thus valve-orifice–limited. 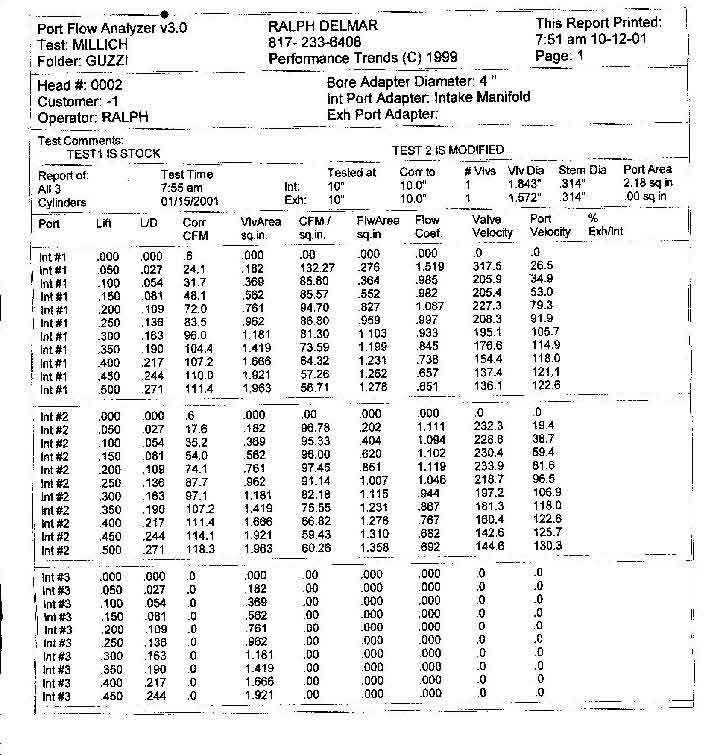 Thus, the more cam lift and duration that you have, the more pronounced the effects of the port work. 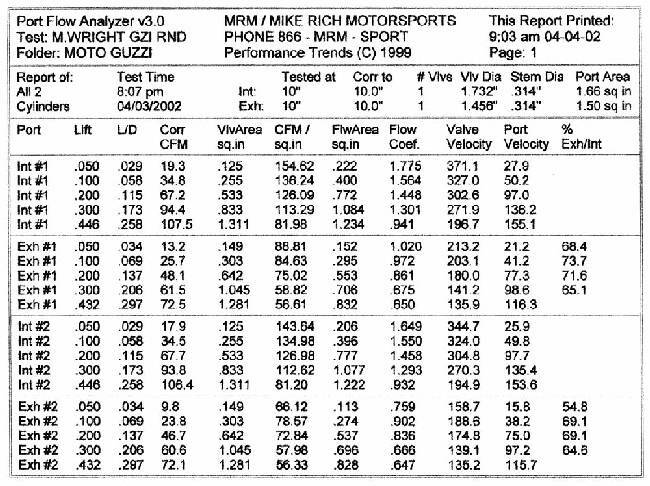 The following flow data comes from Ed Milich's Lemans IV heads. 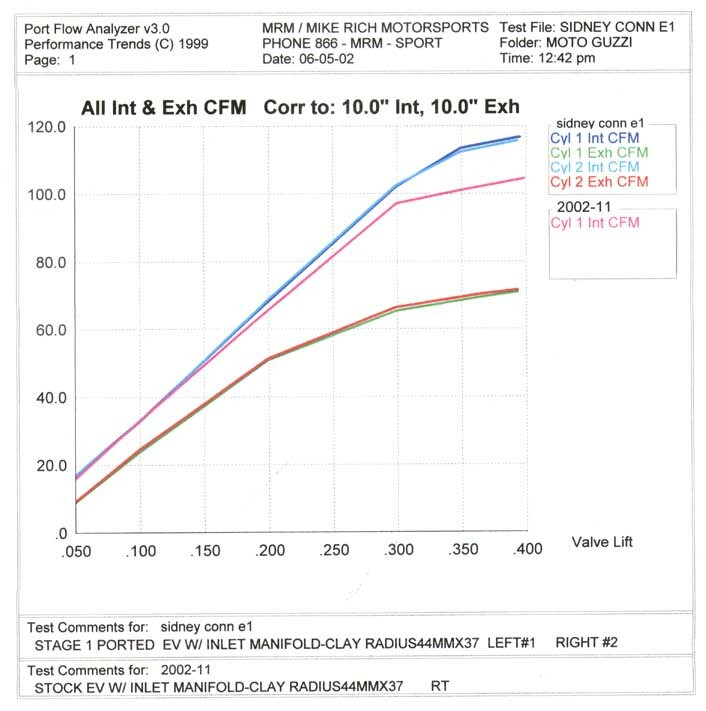 Figures 4-6 show flow data before and after a stage 1 port job. The heads were otherwise stock. The heads have had further work, so this data is not current. For other reasons, I was not too impressed with the guy who did the port work. As seen here, the flow gains are on the order of 5%. 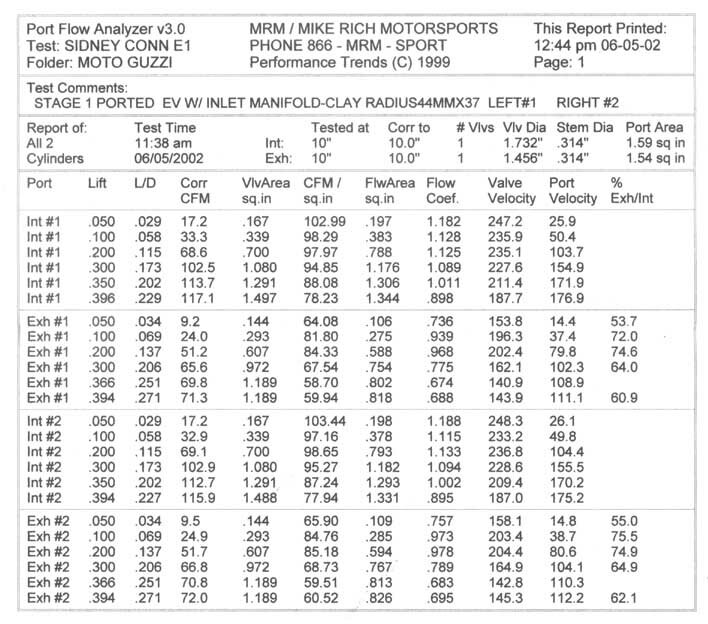 The following flow data comes from Mike Wright's reworked Convert heads. 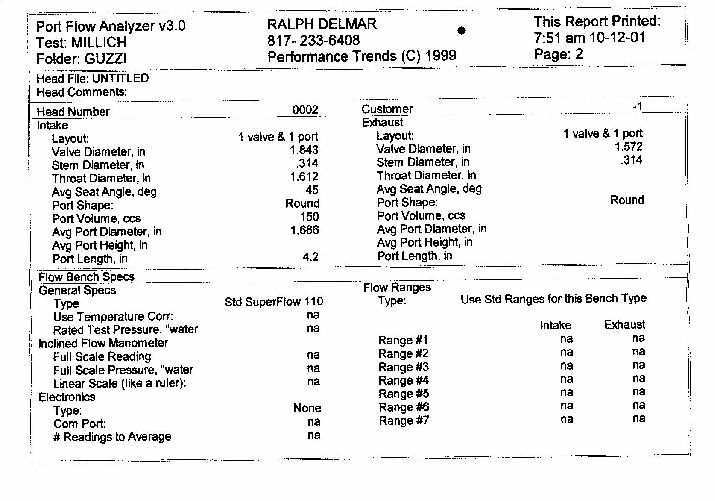 Figures7-10 show flow data before and after a stage 2 port job and an increase to Lemans spec valves (44/37mm In/ Ex). 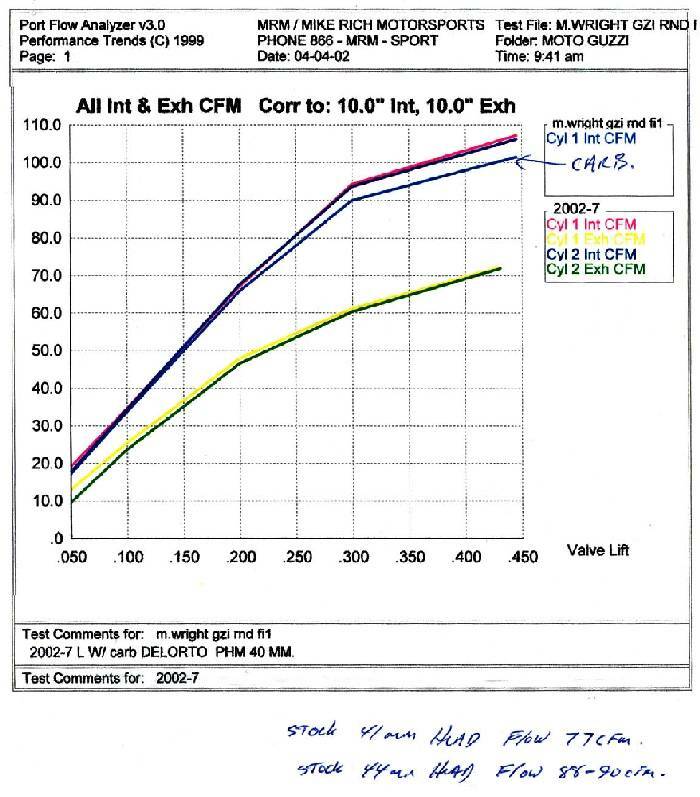 Note the additional restriction that develops when the 40mm carbs are added.